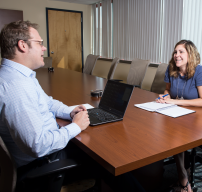 At Pitt, we maintain and administer a compensation program that attracts, rewards, and retains a well-qualified workforce. The Compensation department is accountable for reviewing and maintaining the Staff Classification System and the University’s pay structure. Compensation also develops strategies to assist in meeting business objectives while being fiscally responsible and compliant with all applicable laws and regulations. In addition to being the foremost authority on wage and salary administration, Compensation also provides tools and resources to managers--helping them make appropriate pay decisions, consult on job design and compensation strategies, writing effective job descriptions, and guidance around time and attendance policies and procedures. 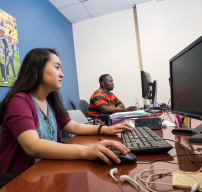 Pitt’s Staff Classification System (SCS) is designed to help attract, retain, and motivate qualified individuals by providing salaries that reflect internal equity, external competitiveness, and individual performance. The Fair Labor Standards Act (FLSA) is a Federal Labor Law that establishes minimum wage, overtime pay, equal pay, record keeping, and child labor standards for employees. The law establishes the tests for determining whether an employee is subject to or exempt from minimum wage and overtime pay requirements. Find information on general University policies in regards to employment statuses, wages, time off, workweeks, and more, as well as time keeping guidelines and information on PRISM TRKS, the University's time record keeping system. ​Supplemental payments may be requested to accommodate situations where a staff member is assigned additional tasks or responsibilities over and beyond their normal duties. Learn more.